Oh Rita, you make me smile. 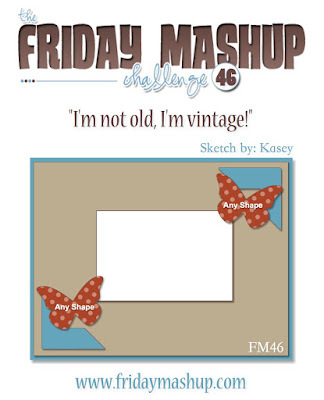 Your card is a gorgeous vintage style, all it takes is a bit of sponging and an 'aged' look. All those blue flowers look amazing. Love it! 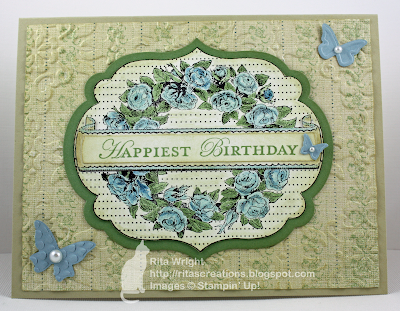 You did a fantastic job with the vintage look Rita! I really love the colors you used, the blue is just so pretty! 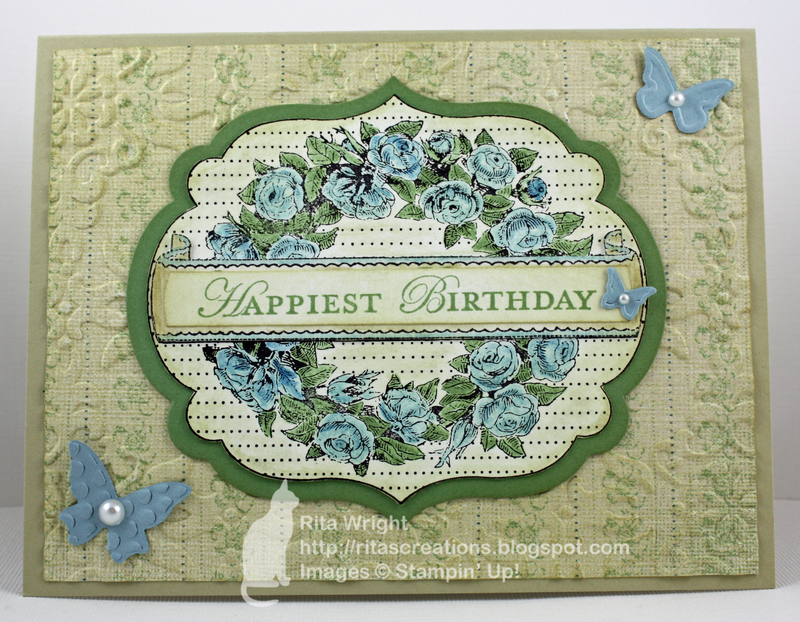 Love the vintage wallpaper DSP (I think the same whenever I see it) and then running it through the embossing folder? Even better! This is GORGEOUS!!! I love how you used the colors with that image. This is a set I didn't get but I've seen a lot of people making some pretty stuff with it. I might need to reconsider. Rita, this is gorgeous!! I chickened out of ordering this stamp swt...but I am tempted now! Your colors are so pretty!